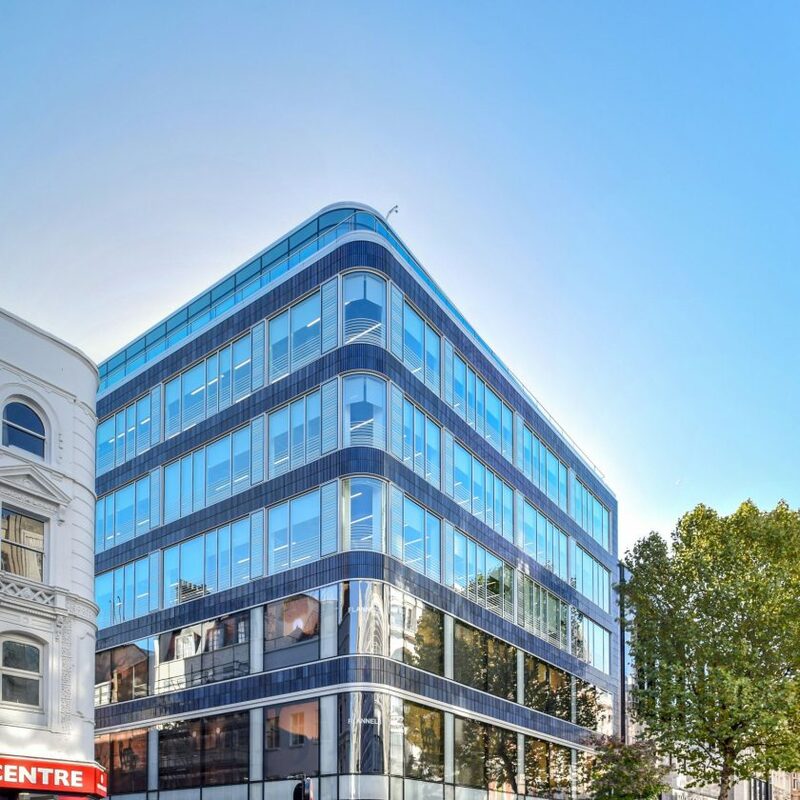 The building Africa House along Kingsway near Holborn Station has been refurbished to offer 119,297ft² of high quality office accommodation, for which Watkins Payne supplied building services engineering, vertical transportation engineering, BREEAM duties and energy consultancy to achieve an EPC C rating. All new building services were installed, using a heat recovery ventilation system to provide fresh air, biomass boilers for heating and chillers for cooling the office space. New passenger lifts serve office levels including the new eight floor and bridge link connecting the traditional entrance with the contemporary office accommodation. The suspended ceiling conceal the fan coil units which provides heating and cooling as well as fresh air ductwork from ventilation units at roof level. The lighting installation incorporates automatic occupancy and daylight dimming lighting controls which consider occupant comfort and also reduce buildings energy consumption. The main feature of the building is the ground floor reception. The reception is in the middle of ground floor next to the main core. The double height space has ornate ceiling carvings and decorated staircase on either side of the reception desk which offers a sense of grandeur when entering the building.